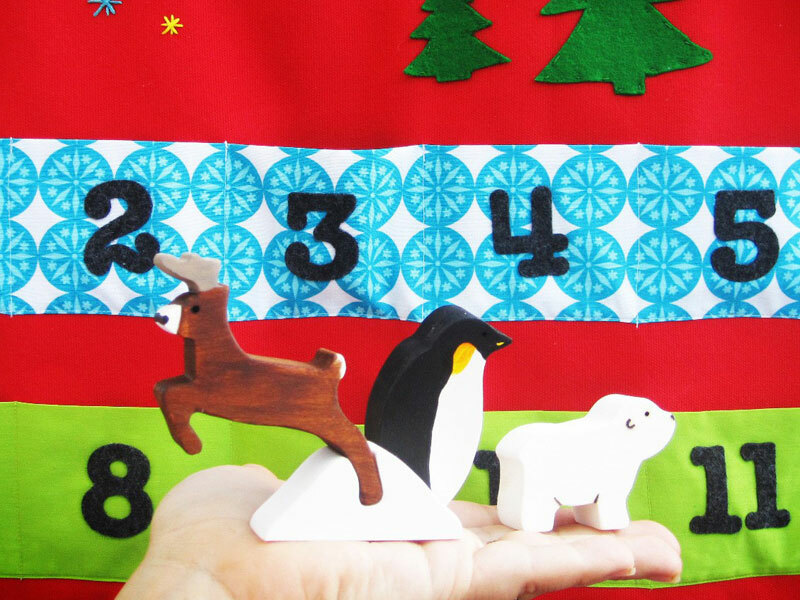 Count down the days in reverie with this cheery handmade Advent calendar — to the most anticipated day of the year for a child — Christmas! SewnNatural crafts each one-of-a-kind calendar with red cotton canvas and red cotton, and each pocket is numbered in eco felt. Hand embroidered wool felt trees and stars add a festive finishing touch. SewnNatural teamed up with Imagination Kids to turn this calendar into an enchanting set that tots may interact with to mark the days of December. Imagination Kids handcrafts the adorable wooden animal toys that may hop from pocket to pocket, day to day. 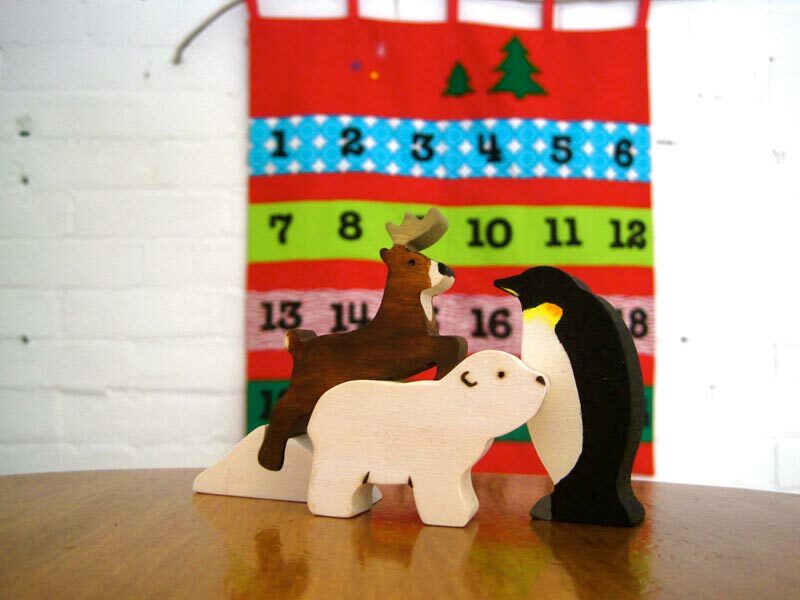 The emperor penguin, baby polar bear and leaping reindeer are made from sustainably harvested wood and safely topped with AP certified non-toxic paint, and homemade natural wood polish made from beeswax, jojoba oil, and essential oils. This set is sure to make the season merry all month long, denoting each day in December with cause for celebration. 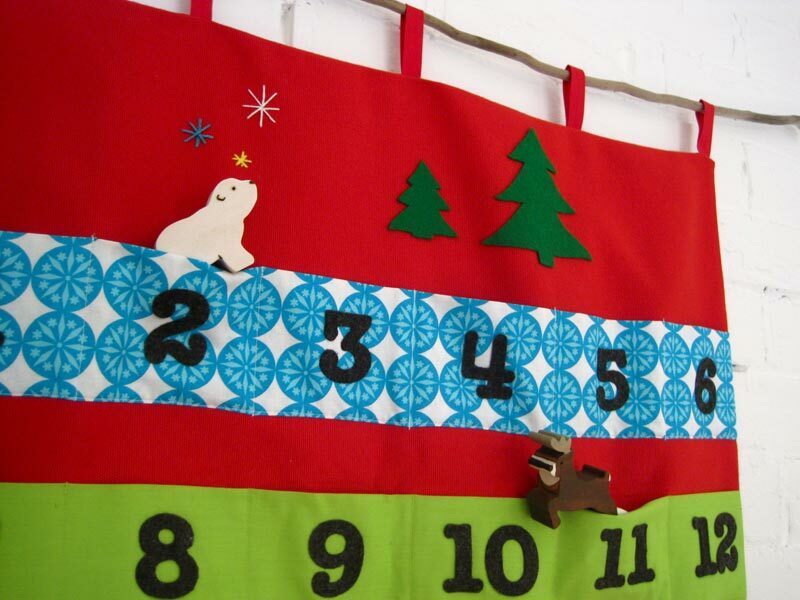 Count down the days in reverie with this cheery handmade Advent calendar -- to the most anticipated day of the year for a child -- Christmas! SewnNatural crafts each one-of-a-kind calendar with red cotton canvas and red cotton, and each pocket is numbered in eco felt. Hand embroidered wool felt trees and stars add a festive finishing touch. SewnNatural teamed up with Imagination Kids to turn this calendar into an enchanting set that tots may interact with to mark the days of December.